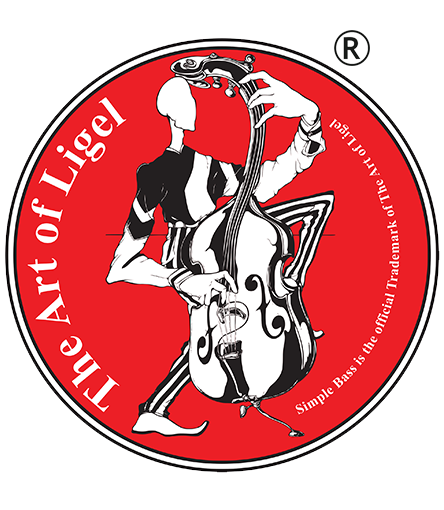 Simple Bass is the official Trademark of the Art of Ligel, LLC. Simple Bass was created with Pen & Ink in the fall of 2000 when I was an undergraduate student at the Savannah College of Art & Design. Why did you use Simple Bass as your logo? I started using Simple Bass as my logo because of the meaning this artwork has to my journey as an artist. At the time, in the fall of 2000, I was fresh out of high school school and at a very low point in my life because of issues with my father. I took refuge in creating pen & ink works of art. In this process, I only used black and white or positive and negative space to show contrast. I was interested in incorporating music within my art, patterns, variations of lines and shapes that are aligned to various elements & principles of art & design. I also enjoyed creating in a somewhat surrealistic kind of way and using asymmetrical balance. Fugitively speaking, this work is associated with the male gender, facial features however, are not defined to exhibit an anonymous character. The elongations of the body and the bending curves of the Upright Bass were just a few ways I was able to express my interpretations of how I saw the world.